In my opinion, there are three reasons that make West Covina the coolest city in San Gabriel Valley. 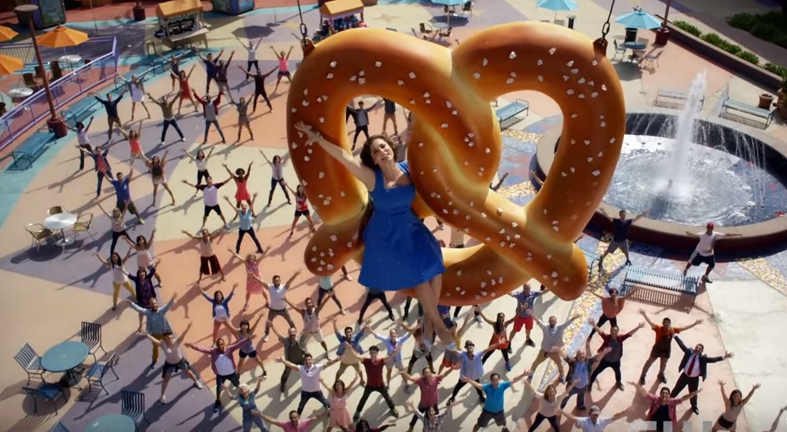 First, Crazy Ex-Girlfriend, my favorite show of the moment, is set there. This musical about a lovestruck New York lawyer who moves to West Covina to pursue her ex-boyfriend doesn't just shoot its exteriors at places in town I actually recognize, but started the series off with a whole Broadway-style number that's a love letter to the city itself. 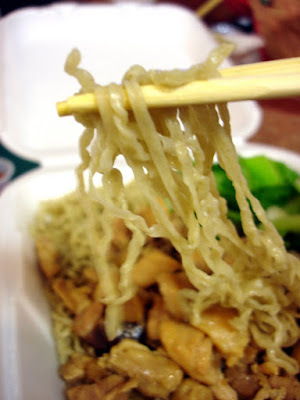 Second, West Covina is home to Janty Noodle, the only place in LA to get the authentic Jakarta-style noodles we Indonesian expats call mie ayam (literally "noodle with chicken"), which is more delicious than the simple name might lead you to believe. Last but not least, West Covina, or specifically the shop in the building you see below, is the only place that seems to make the drink I'm holding in the exact way that I like it. It's ice milk slush, boba, egg pudding, and brown sugar syrup, built in layers in a plastic cup. There are other purveyors of this drink, but none have been able to do it quite like the way it's done here. 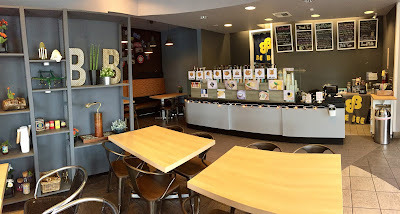 What makes it odd is that this dessert shop has changed hands at least four times since I reviewed the original place that made it. It's now called Be Bee Tea & Desserts; but originally it was Meow Meow Cafe. In my opinion, Meow Meow did the drink best. The secret was in that brown sugar syrup, which was concocted behind a curtain, the recipe so closely guarded that the owners allegedly did not include instructions on how to make it when they put the shop up for sale. 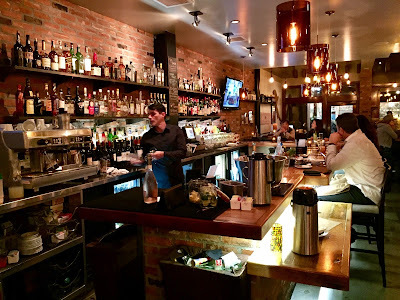 But it may have not have mattered since each store that has come after Meow Meow seems to have figured out how to make a facsimile of the drink that's still better than any other place that has attempted it. In fact, I'd like to think that it's not the recipe that's the secret; it's the location, right here, in (sing it with me) Weeeessstt Covvvviinnnnaaaaaa, Califooooorniaaaa! 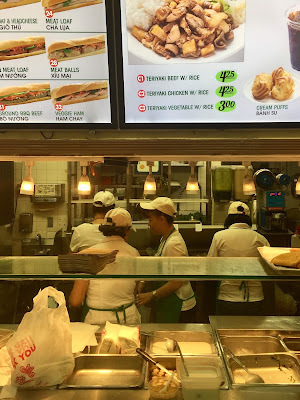 I've written about Banh Mi Che Cali since this blog began. After all these years, it is still my favorite banh mi purveyor. So rather than rehashing what I think of the sandwich or reemphasizing that it's possibly the greatest food deal in Orange County, here are 13 things you should know about Banh Mi Che Cali's banh mis if you haven't been before. 1. The banh mis at Banh Mi Che Cali are constructed from two kinds of loaves: a hoagie-shaped French bread and a slender baguette. 2. Other than the size and shape, both breads are born from the same mother dough. 3. As of this writing, when bought individually, all sandwiches, regardless of bread type, are $3.25 each, tax included. 4. 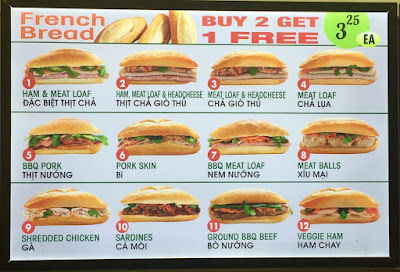 The best deal is the "Buy-2-Get-1-Free" offer on the "French Bread" banh mis, which effectively means $6.50 for three sandwiches (or $2.16 per sandwich). 5. 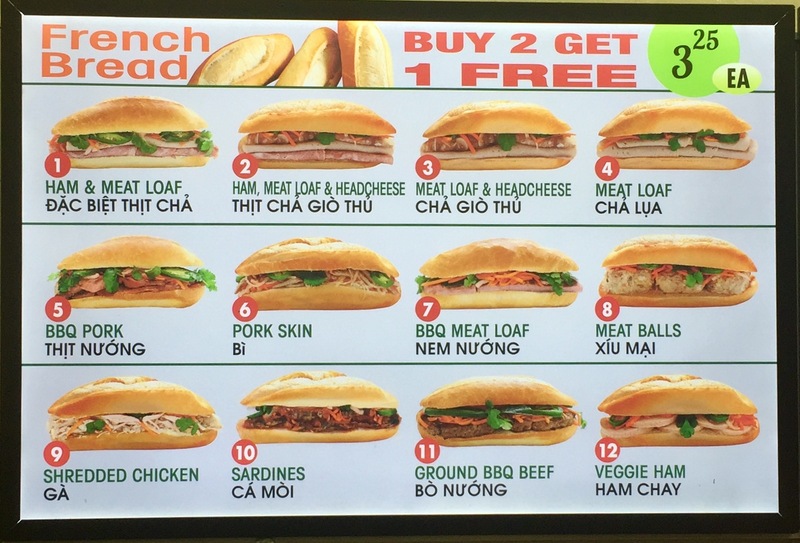 The offer does not apply to the baguette banh mis, which are $3.25 each no matter how many you buy. 6. Cash is the only form of payment accepted. 7. This particular Banh Mi Che Cali bakes their bread in-house, and smells great because of it. 8. The building, as evidenced by the arched windows, was once an old-school Taco Bell. 9. There are multiple outlets of Banh Mi Che Cali, but this one is the only one that's open 24 hours. 10. There are 12 kinds of filling, as shown below, but also a Teriyaki beef and a Vietnamese ham with egg baguette, both of which cost a little more than the original 12. 11. When you go up to the cashier to order, she (and it's always a she) will ask whether you want your veggies "inside" or "outside". "Inside" means you want the lightly pickled carrot and daikon, jalapeños, and cilantro tucked into the sandwich during assembly. "Outside" means it will be set aside for you in a plastic baggie. 12. If you reheat your sandwich in a toaster oven (even a day-old one), it will bring back the crunch on the crust. 13. Some sandwiches contain a smear of an excellent homemade chicken liver pate and mayo, both which you can choose to leave out. But why would you?! 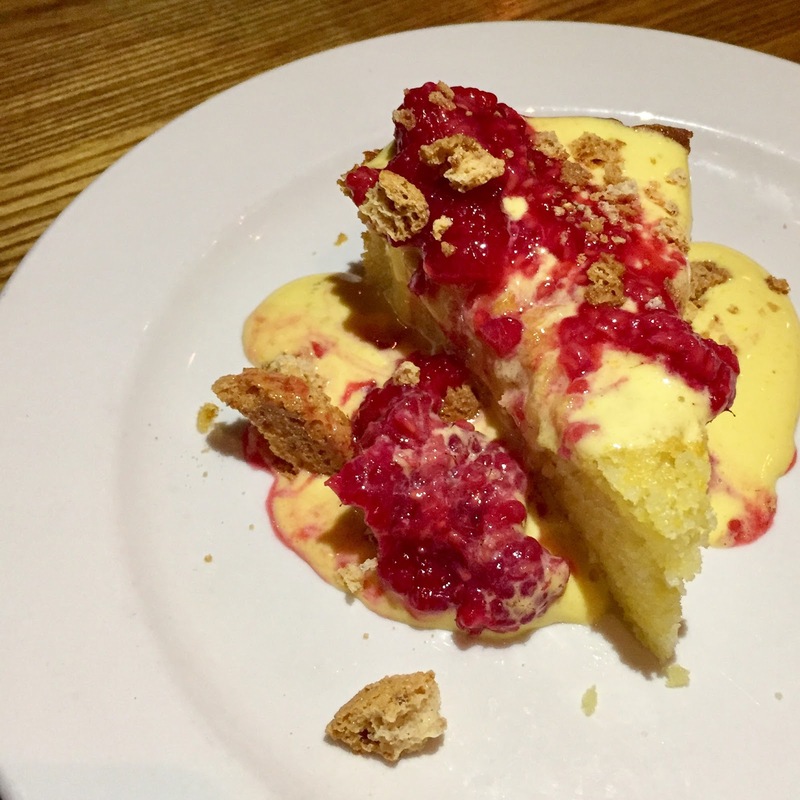 If you're reading this and it's not yet March 11, you should know that right now--yes, RIGHT NOW--a near majority of our county's fine dining establishments are offering discounts via specially priced prix-fixe meals for OC Restaurant Week. This review is about one of them: Brunos Italian Kitchen in Brea, which I can say unequivocally, is one of the better deals. I picked it out of the bunch and, as I do every year, did the math. I took the most expensive items on the prix fixe list, found out what they cost on the regular menu, added up the total and compared it to the OC Restaurant Week price. This year I even made a spreadsheet to compare it to other restaurants' specials. I found that Brunos' offering not only fulfilled my criteria that the savings must exceed 30%, but also, it didn't just include a wedge salad or a cup of lobster bisque as the first course. 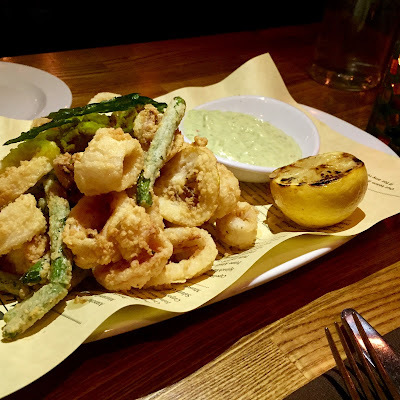 There was a hot-from-the-fryer fritto misto with delicately battered shrimp, perfectly cooked squid, green beans and deep-fried lemons. It was a full-sized portion, too, served with a perky fresh herb and lemon aioli. 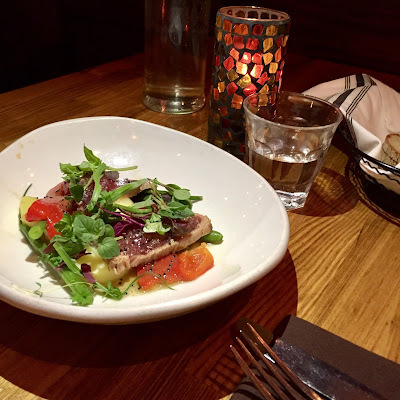 Also offered: an olive-oil poached tuna plated with sugary fire-roasted peppers, crunchy green beans, olives and boiled potatoes dressed in a preserved lemon vinaigrette. Each of these two apps are normally $14 each. The main course we chose--a seafood linguini and the Duroc pork Porterhouse--would've been $22 each at regular price. And they are certainly already worth that. 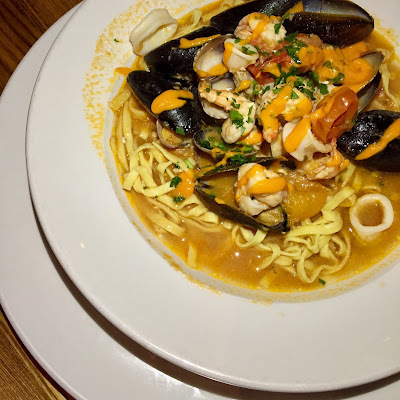 The linguini swam in a light tomato-and-herb broth that reminded me of cioppino and contained trawler's worth of shellfish. The pork Porterhouse was as thick as the last Harry Potter book, good and juicy if a little chewy, but served with a creamy polenta and whole roasted carrots that could not have tasted more comforting. Dessert would normally retail at $7.50 and included a wedge of lemon-and-olive-oil cake, draped in fresh zabaglione, berries and crumbled amaretti cookies. 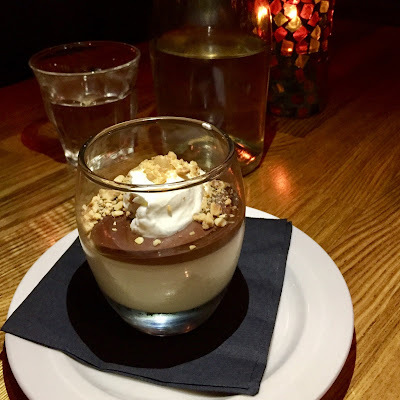 Best of all was the budino al caramello, a cocktail glass filled with layers of caramel pudding and rich chocolate ganache that's topped with whipped cream and nuts. 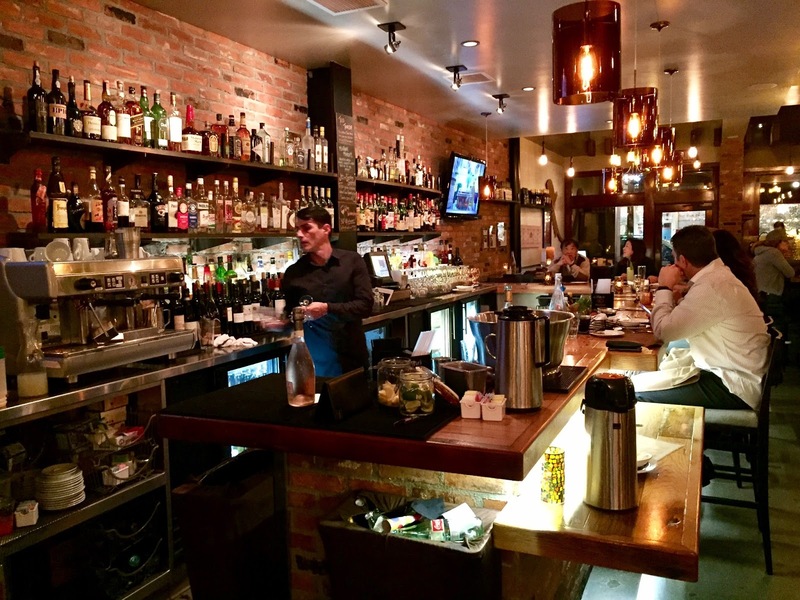 To paraphrase Orwell, not all OC Restaurant Week deals are created equal, but some are more equal than others...so make like an entitled pig and go to Brunos before the deal ends! I don't think anyone who goes to breakfast at Norms is doing it apprehensively. No one's thinking, "I wonder if I'm going to like what I ordered." Old people. Kids. Asians. Latinos. Whites. 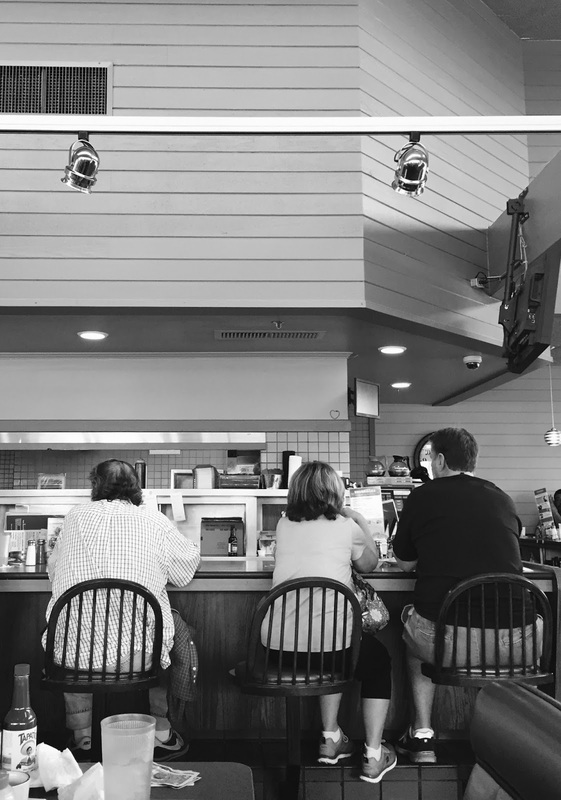 No matter who it is, they're there because they know what they want and are going to get: Eggs, bacon, sausage, hash browns, and a stack of pancakes to drowned in syrup. There are no surprises at Norms. What you see in on the picture menu is exactly what comes out of the kitchen. The hash browns are crisp and so is the bacon. The pancakes are as fluffy as cotton. And the steak in the sirloin steak and eggs is actually flavorful, not to mention reasonable at $8.99. This is morning coffee shop fare at its best and most consistent. The servers are awful nice, too. They greet the regulars by name--"Hey, good morning, Stan! See you next week, Doug!" --and as efficient as they are acrobatic at carrying multiple plates of food on their arms. No, there are no surprises at Norms. It's one of life's constants. What happens with the rest of your day after you leave is, however, still a crap shoot.